Food Sovereignty in the Americas and beyond! The oceans are heating up faster than predicted, and the speed is accelerating. Expect higher seas, stronger storms, and extreme precipitation. Heat trapped by greenhouse gases is raising ocean temperatures faster than previously thought, concludes an analysis of four recent ocean-heating observations. The results provide further evidence that earlier claims of a slowdown or “hiatus” in global warming over the past 15 years were unfounded. 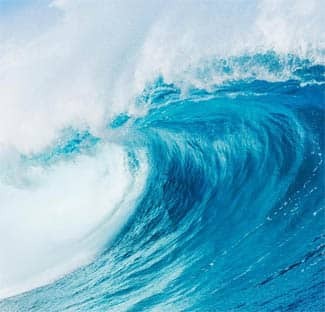 Ocean heating is critical marker of climate change because an estimated 93 percent of the excess solar energy trapped by greenhouse gases accumulates in the world’s oceans. And, unlike surface temperatures, ocean temperatures are not affected by year-to-year variations caused by climate events like El Nino or volcanic eruptions. The new analysis, to be published on January 11 in Science, shows that trends in ocean heat content match those predicted by leading climate change models, and that overall ocean warming is accelerating. Assuming a “business-as-usual” scenario in which no effort has been made to reduce greenhouse gas emissions, the CMIP5 models predict that the temperature of the top 2,000 meters of the world’s oceans will rise 0.78 degrees Celsius by the end of the century. The thermal expansion caused by this bump in temperature would raise sea levels 30 centimeters, or around 12 inches, on top of the already significant sea level rise caused by melting glaciers and ice sheets. Warmer oceans also contribute to stronger storms, hurricanes and extreme precipitation. The four studies, published between 2014 and 2017, provide better estimates of past trends in ocean heat content by correcting for discrepancies between different types of ocean temperature measurements and by better accounting for gaps in measurements over time or location. “The fact that these corrected records now do agree with climate models is encouraging in that is removes an area of big uncertainty that we previously had,” he said. A fleet of nearly 4,000 floating robots drift throughout the world’s oceans, every few days diving to a depth of 2000 meters and measuring the ocean’s temperature, pH, salinity and other bits of information as they rise back up. This ocean-monitoring battalion, called Argo, has provided consistent and widespread data on ocean heat content since the mid-2000s. Prior to Argo, ocean temperature data was sparse at best, relying on devices called expendable bathythermographs that sank to the depths only once, transmitting data on ocean temperature until settling into watery graves. Three of the new studies included in the Science analysis calculated ocean heat content back to 1970 and before using new methods to correct for calibration errors and biases in the both the Argo and bathythermograph data. The fourth takes a completely different approach, using the fact that a warming ocean releases oxygen to the atmosphere to calculate ocean warming from changes in atmospheric oxygen concentrations, while accounting for other factors, like burning fossil fuels, that also change atmospheric oxygen levels.